When it comes to direct spend, most businesses have a clear vision of the expenditures; however, when it comes to indirect spend, those non-core products that are essential to running day-to-day operations, the expenditures are usually underestimated. Purchasing is often decentralized, with minimal oversight, yet indirect spend can be up to 40 percent of a company’s total spend. And that can mean tens if not hundreds of thousands of dollars wasted annually. 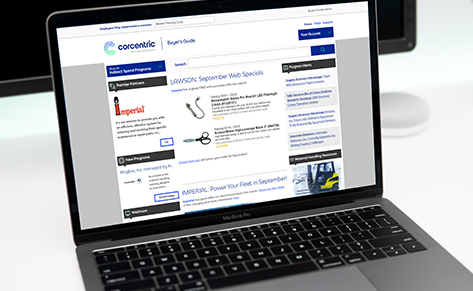 Corcentric’s Indirect Spend program aggregates the buying power of our 1,400 member companies along with industry expertise to help you reduce costs, free up resources, and gain greater visibility into spend. We leverage our group buying power and our technology to bring down supplier prices, help you process large quantities of invoices and payables, and achieve accurate reporting and analytics. Combine unmatched buying power with a fully electronic invoicing system that will reduce costs, ensure accuracy, and streamline processes. Centralize all indirect spend purchasing, eliminate off-contract buying, and ensure price and terms compliance regardless of location and purchaser. Get one invoice and write one check consolidating all of your indirect spend. Corcentric will take the responsibility of paying your suppliers.